If you are a regular reader to this site, then you should be familiar with The T Dog Media TV Hall Of Shame, which generally celebrates the medium’s worst shows ever, from Hello Larry to Animal Practice. For a change, let’s talk about the best TV has to offer – that’s right, the best. 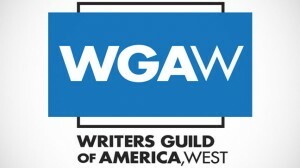 On Sunday, the Writers Guild of America (West), released a list of the 101 best written television shows of all time during a special event in Los Angeles, featuring many well-known producers and writers, including James L. Brooks, Carl Reiner, Norman Lear, and Steven Bochco, along with new school writers Ronald Moore (Star Trek: The Next Generation, Battlestar Galactica), Matthew Weiner (Mad Men), and Chicago native Steven Levitan (Modern Family). When one of these “best” or “worst” lists come out, it usually features shows from the past 25 years or so, put together by some Gen-Y pop culture “expert” who basically looked up these shows in a few books and slapped something together. You know something is wrong when you come across these inferior pieces (usually found on some obscure website) and lists The Cleveland Show or Heroes as the best show of all time. But what makes this list different is it comes directly from those who manufacture the sausage: WGA members with decades of experience and behind many of these shows. The list also yield a few surprises: Mad Men ranking high as it did (#7); South Park ranking rather low (#63); The Simpsons failing to make the top ten (#11); and Family Guy, Sanford and Son, and Ally McBeal missing the cut. While not perfect (these lists never are), the WGA’s list should be used as a good measuring stick on how the best shows in television history stack up. To download or read the entire list, click here.